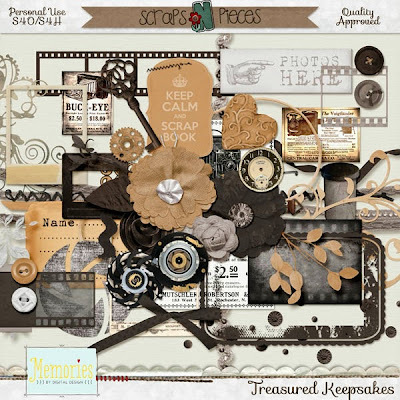 October Bits N' Pieces theme captures the memories with a photography and scrapbooking theme. I am introducing 3 new products to the store. 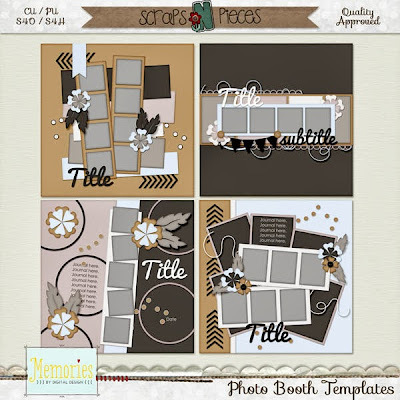 Remember Bits N' Pieces products are just $1 the first week of each month - after that, most designers bundle them up into full kits and they all go back to regular price. What great memories so many as teenagers, climbing into a photo booth with a bunch of friends, trying to make as many silly faces as possible in seconds...or even with that special someone. Times like those can be captured using Photo Booth Templates. Have a few special photos set aside, waiting on that perfect kit...? 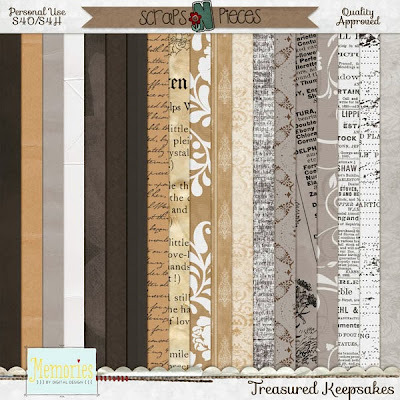 Grab Treasured Keepsakes and document those memories using this beautiful kit. The element pack and paper pack are each just $1, but will be bundled into a full kit and put back at regular price after October 7, so grab these gorgeous pieces today. 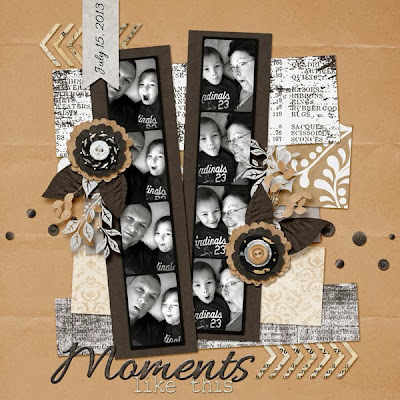 This first one uses both Photo Booth templates and Treasured Keepsakes. 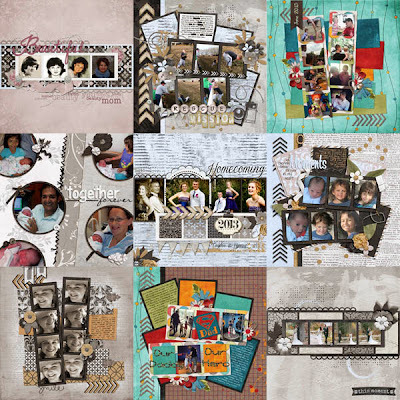 This second layout uses Photo Booth Templates again, but Vintage Memories from Scraps N' Pieces. 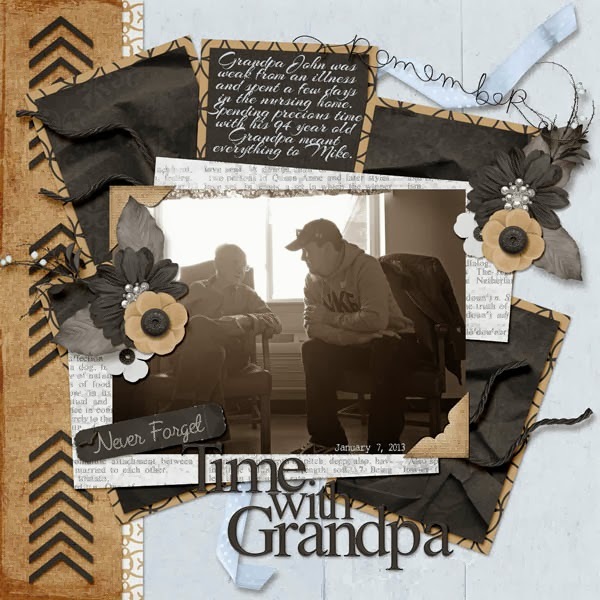 Check out what my amazing CT created using Photo Booth Templates and/or the Treasured Keepsakes pieces.